Age: 26, Rank: 161, Hometown: Las Vegas, Nev. 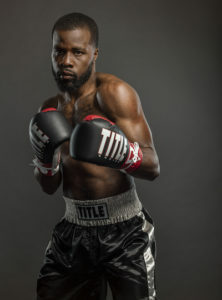 This Atlanta native is the current record-holder for fastest KO in Georgia, a four-time Golden Gloves state champ and Bronze medalist. Quatavious Cash is fighting for his late mother and for the chance to prove that a life of fighting street gangs can be channeled for good.